Peaches here. Our human brought us two new beds today. 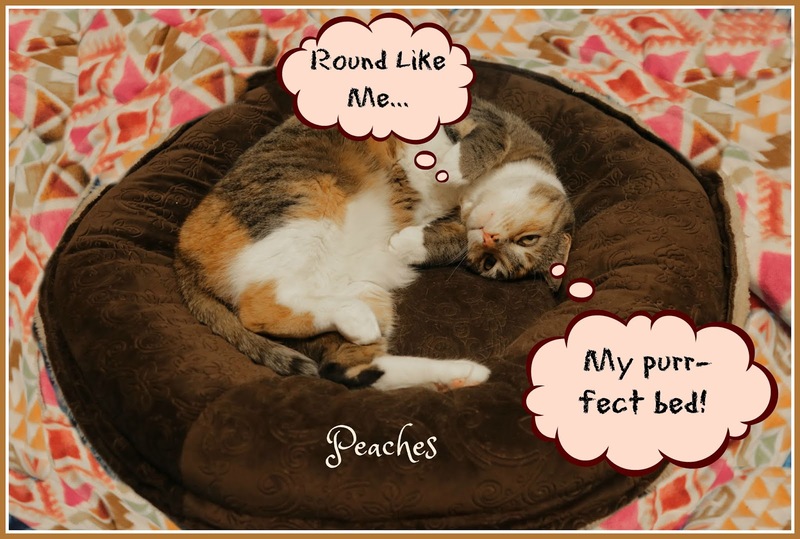 Actually they are our "old" beds but since she hides beds in a closet 6 months at a time, and then presents them again we think they are new! ANYWAY..I picked out this one immediately! It has colors exactly like me! When I take possession, I do so wholeheartedly! I clung to the bed for dear life, making sure everyone knew it was MINE! But then...I saw the second bed...it was much smaller than my huge round one but...it was LEOPARD! Although the fit was a bit "cramped," I thought it was very complementary to my purr-sonality. I therefore attempted to take possession of BOTH beds! This did NOT please my human. I think a cat like myself should be entitled to any bed she wants. I don't understand the human being so difficult about it! 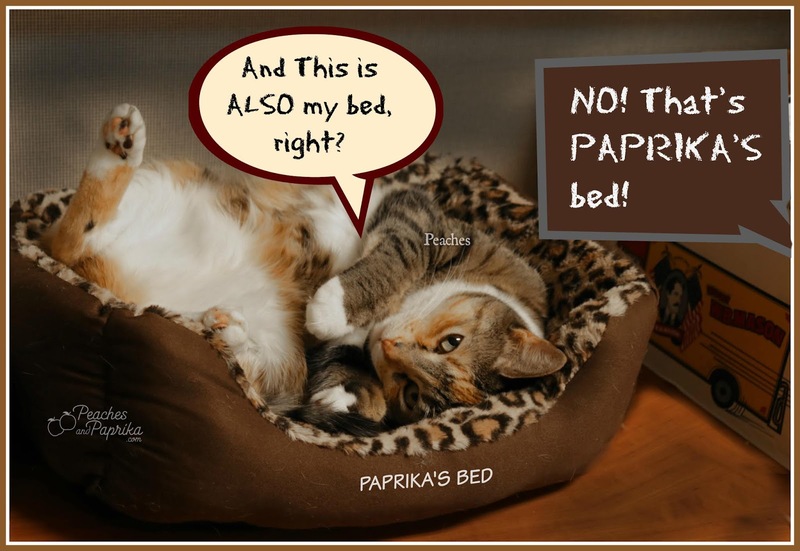 Both beds are lovely, but you will have to let Paprika sleep in one. You can't sleep in both at the same time after all. I have lots of beds for that same reason, you two need lots more beds! I just hate to share!!!!!! Especially with Paprika, that little vixen! I'd try to take over both too! I'm sure you both will use both beds. We always want what belongs to someone else. It's the way of things. That's a great way to keep things interesting - good idea! Both of those beds look very comfy! What lovely beds! Lexy gets all the beds around here because I don't sleep in them. I only sleep in human beds. 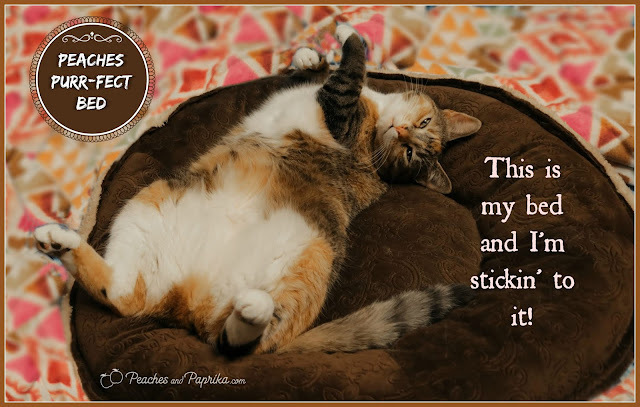 If you can try to stretch your body into both beds at once...MOL!